KANSAS CITY, Mo. – At the conclusion of all women’s cross country conference championship meets, Oklahoma City has taken over the No. 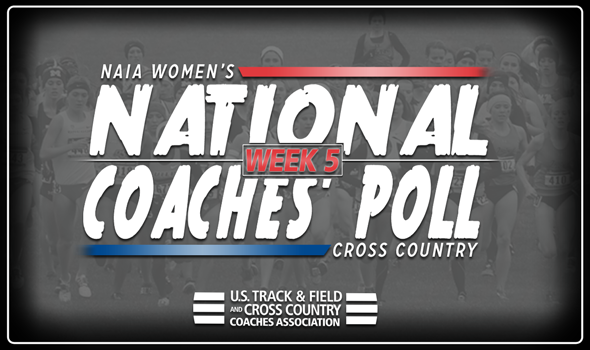 1 spot in this week’s NAIA Women’s Cross Country Top 25 poll, the national office announced Sunday. The Stars of Oklahoma City finished first overall in the Sooner Athletic Conference Championship on November 4, earning an automatic berth to the National Championship. Oklahoma City garnered 9 first place votes and 550 total points to earn the top spot. No. 19 Northwestern (Iowa) rejoins the Top 25 after dropping out in the last poll, and No. 25 Cornerstone (Mich.) earns its first spot in the Top 25 of 2017 this week. Simon Fraser (B.C.) sholds the record for the most No. 1 rankings with 41 all time. College of Idaho holds the record for the longest consecutively-ranked active school, appearing in 72-straight polls, followed by Carroll (Mont.) with 63.